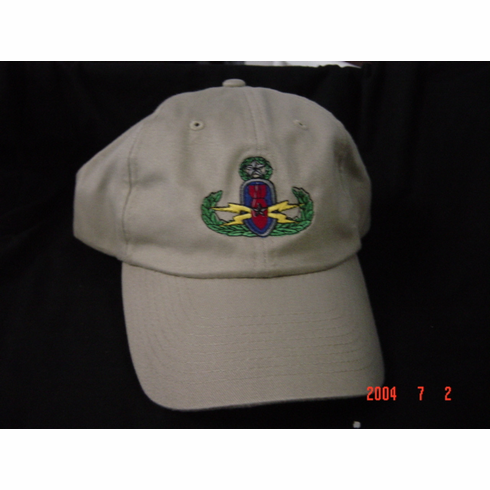 Badge or "EOD"design on un-constructed Buckle Back closure hat. Available in Black, Navy, Khaki, Pink, or OD Green. Copyright 2007-2019 Bombs Away, Inc. All Rights Reserved.